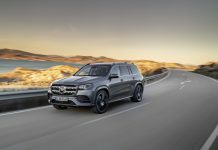 In 2017 Mercedes Benz sold almost 2.3 million cars worldwide, this marked the seventh consecutive year that the Stuttgart-based manufacturer broke its own sales record. 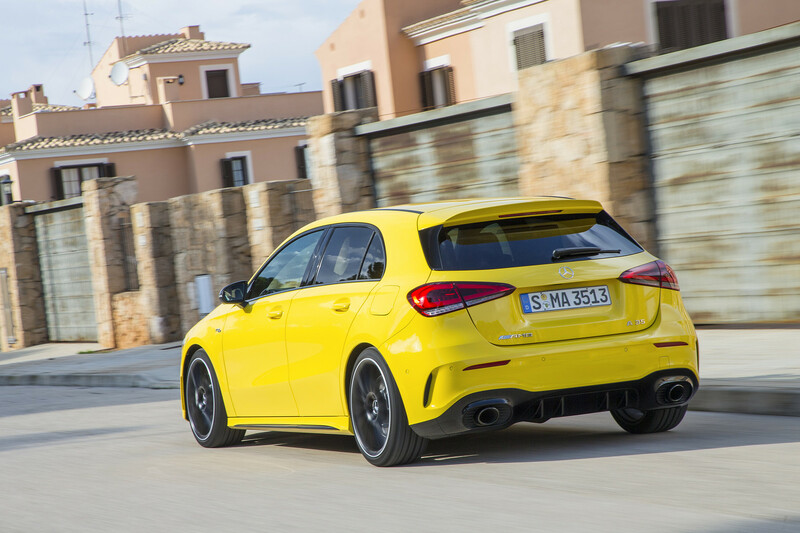 In that same year, its AMG division sold more than 130,000 cars globally. 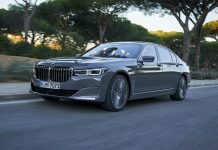 A large portion of this massive success can be attributed to the vastly popular E-Class and its SUV lineup, though what’s perhaps more important is that Mercedes seems to understand its customers just as well as it understands automobiles. The company keeps its target audience at the forefront of every project, and tailors all design and performance elements to its buyer persona. 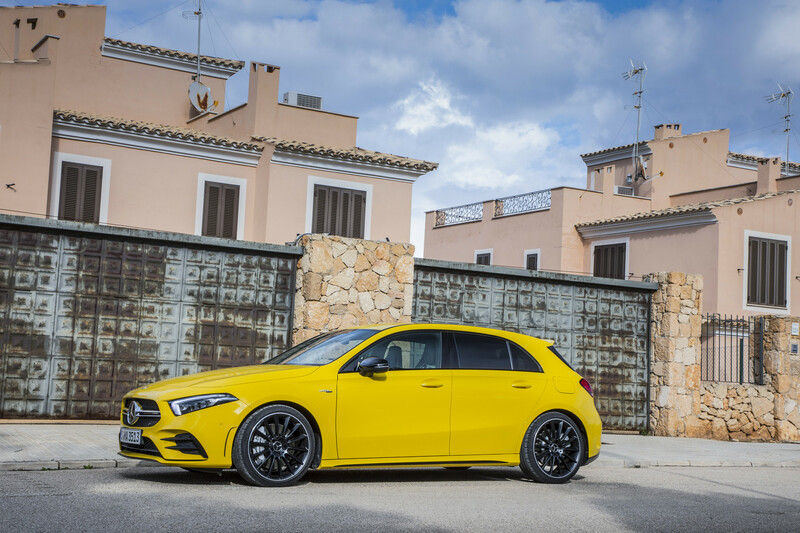 And although Mercedes has been around for some time, the AMG A35 may just be the epitome of this demographic-focused manufacturing. 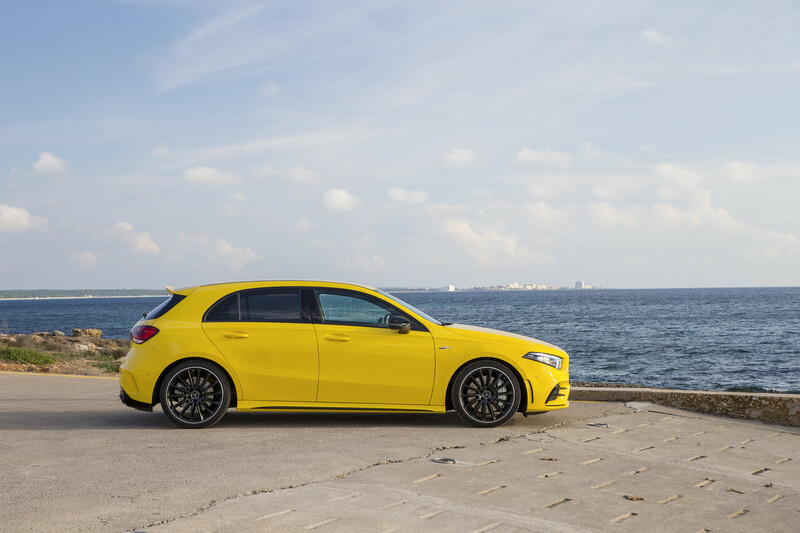 The new A35 is the first AMG iteration of the current A-Class, and therefore also the early successor of the widely acclaimed A45, which sold twice as many units as Mercedes originally anticipated in 2013. 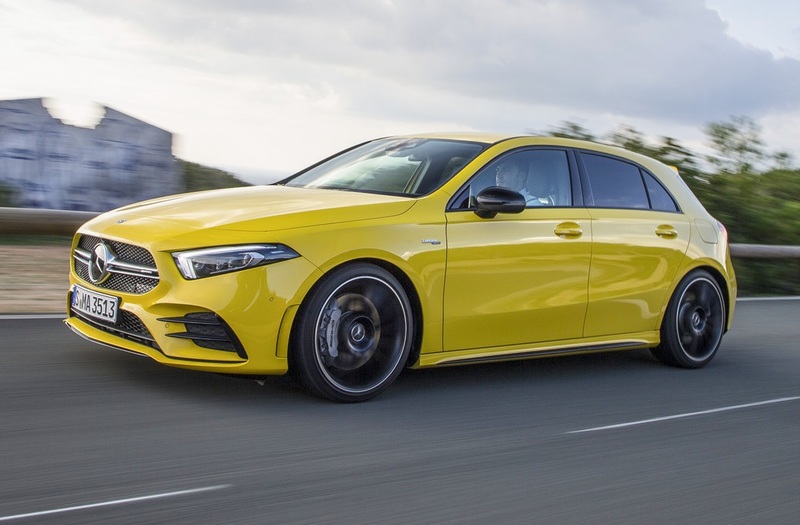 The hot-hatch has some big shoes to fill after the success stories that its forerunners have written, and it seems like Mercedes has given the A35 a fighting chance: the new compact-brawler is unmistakably committed to the AMG design DNA. 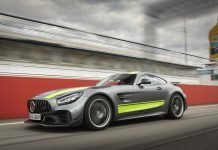 Although the engine is not entirely an AMG powerplant, having been borrowed from an A250, the dynamics have been drastically tweaked to obscure its lineage sufficiently for non-AMG purists. 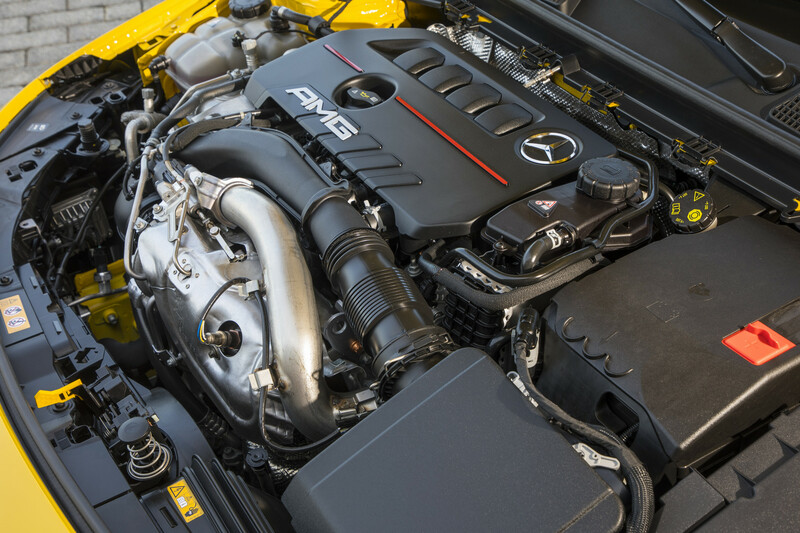 Under the hood sits a 2.0-litre, four-cylinder engine, with a twin scroll turbo churning out 306 horsepower to all four wheels. 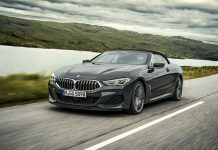 The spectrum ranges from front-wheel drive only to a 50:50 percent distribution to the front and rear axles, directing all 400Nm of torque to the wheels, even before the front wheels will scuffle for grip during spirited accelerations. 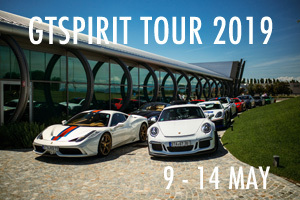 Beyond all this, a 7-speed dual clutch gearbox ensures seamless gearshifts with agile ratios. 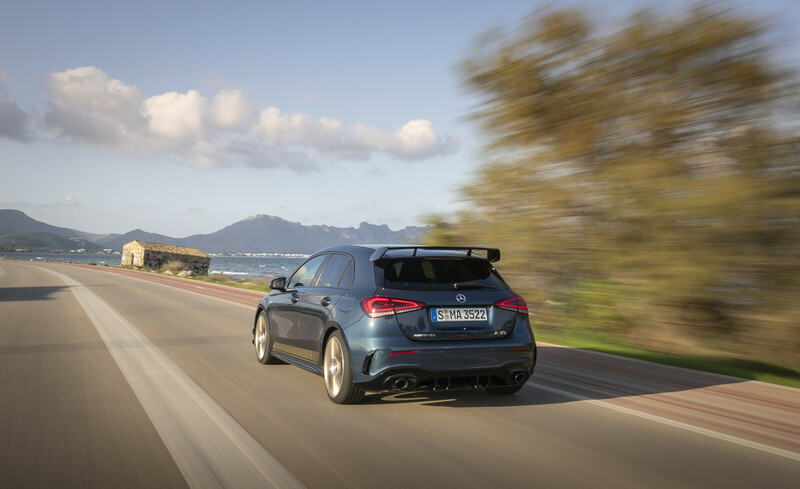 The entirety of its components means that the A35 is greater than the sum of its parts, allowing the car to accelerate from 0-100 km/h in 4.7 seconds (only 0.5 seconds slower than the A45), and keeping the fun going until 250km/h, making it a full-blooded pocket-rocket. 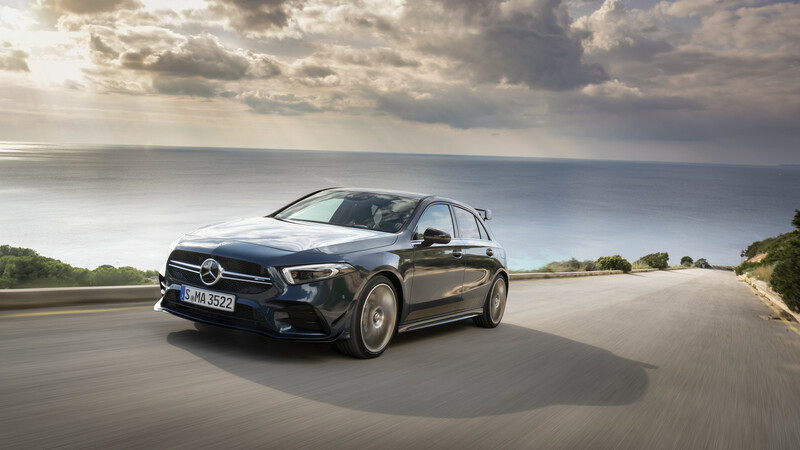 On the stylistic side of things Mercedes has done a phenomenal job once again; taking many of the successful design features from the standard A-Class and tweaking them just slightly to give it a more sturdy and energetic appearance. 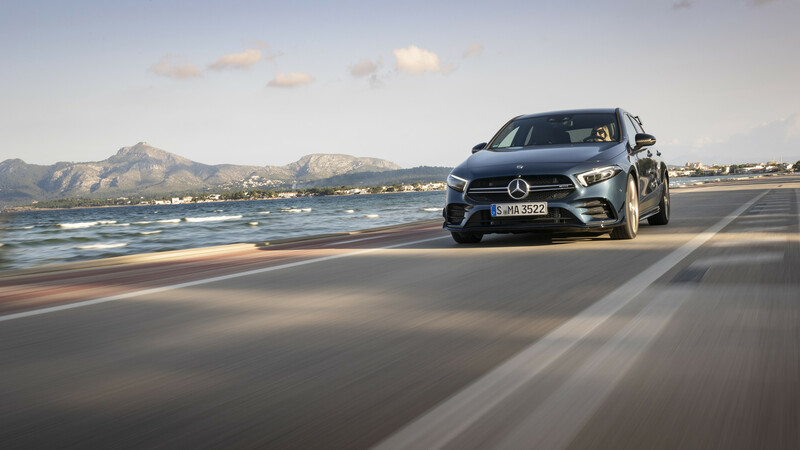 The A35 has the optional Aerodynamics pack featuring a larger front splitter and additional high-gloss side canards in black as well as the renowned AMG rear-spoiler. 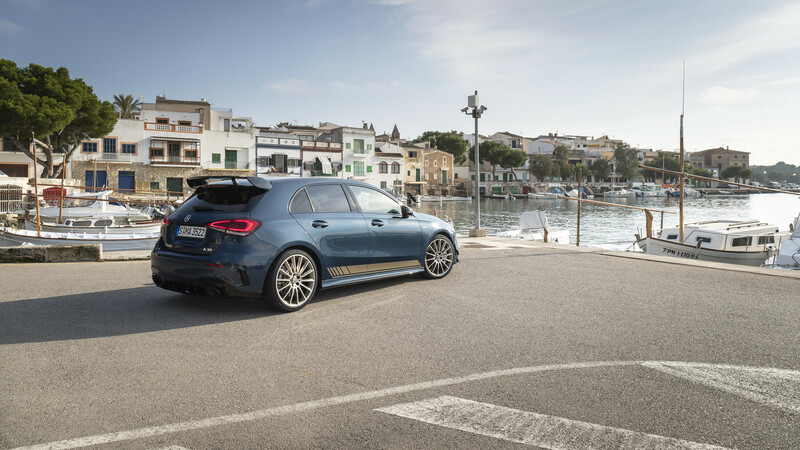 If the Aero pack is too pretentious for your liking (let’s face it; a hot-hatch really doesn’t need that wing for extra downforce), there’s always a Night Package, which blacks out the front splitter, the side canards, and includes black chrome tailpipes for a more gracious spruce up. The interior is arguably second to none for a hatchback of its caliber. The A35 has borrowed all the lavish attributes from its siblings and employed them in tasteful fashion. The widescreen cockpit is the central focus of the interior, and flaunts touchscreen capability, and allows for significant customization when switching between driving modes. In comfort mode the instrument panel displays a neat array of customary telemetry data on the vividly crisp display. 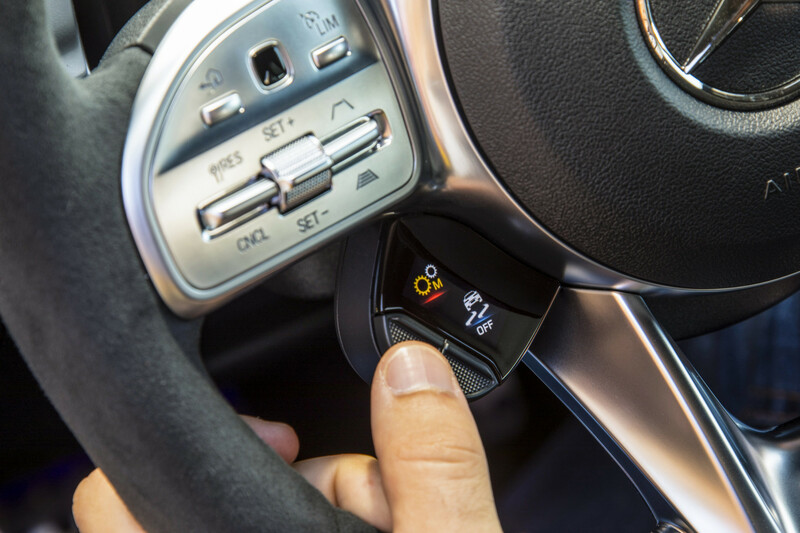 This screen can also be configured for more energetic handling, presenting the driver with a large central rev counter to provide unobtrusive cues to pull the fixed shifter paddles. Sticking out like a sore thumb are the indicator stalks that feel inferior and cheap in comparison to the rest of the cockpit, which is coated in premium materials and top-end craftsmanship. The steering wheel is a delight to hold and begets a surprisingly mature yet forceful feeling in the hand. It is however lathered with multimedia control buttons – albeit in a sleek and stylish manner, the steering wheel feels a tad too crowded. A welcome addition are the digital controllers attached to the steering wheel (akin to Ferrari’s manettino switch) with a touch of modernism. 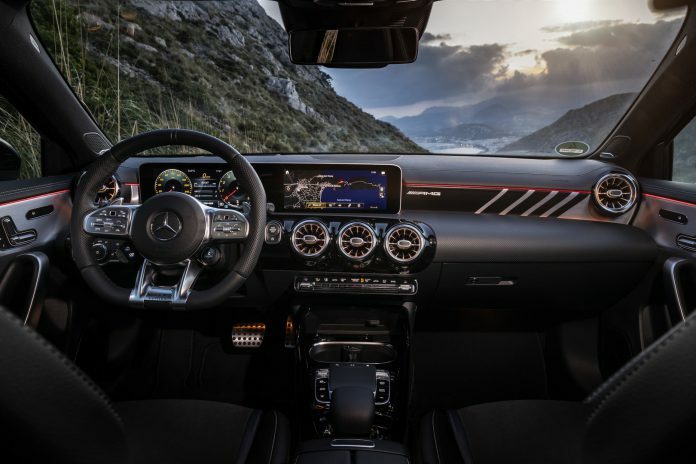 The steering wheel’s polarity between a sportive and aggressive style, combined with useful everyday features, is an omnipresent aspect throughout the car, and is most superbly embodied by the AMG performance sport seats. The seats are a phenomenal blend between providing bolstered support, and comfortable quotidian seats. They provide substantial support for passionate cornering, but don’t amount to agony on longer roundtrips. 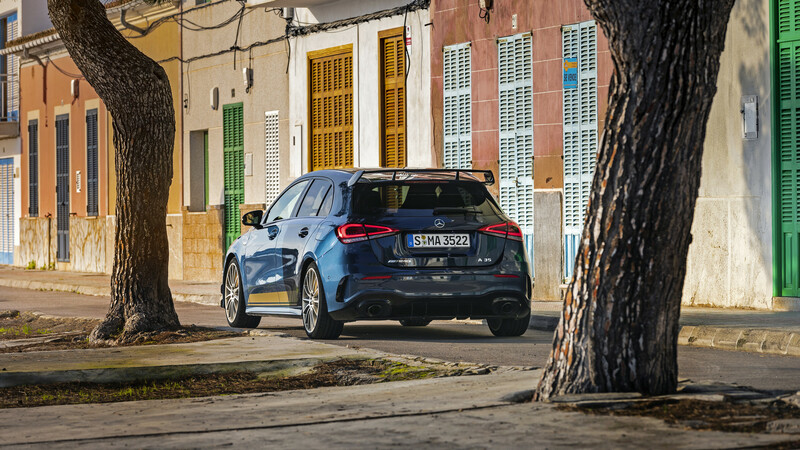 The rear seats tell a similar story by giving passengers a comfortable ride with a surprisingly adequate amount of legroom. So what do all these facts and figures amount to? What is the A35 actually like to drive? 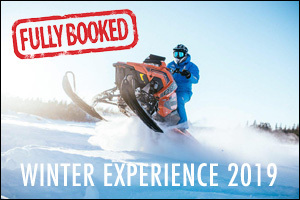 Mercedes has impeccably ensured that the target demographic will get along well with the driving experience. 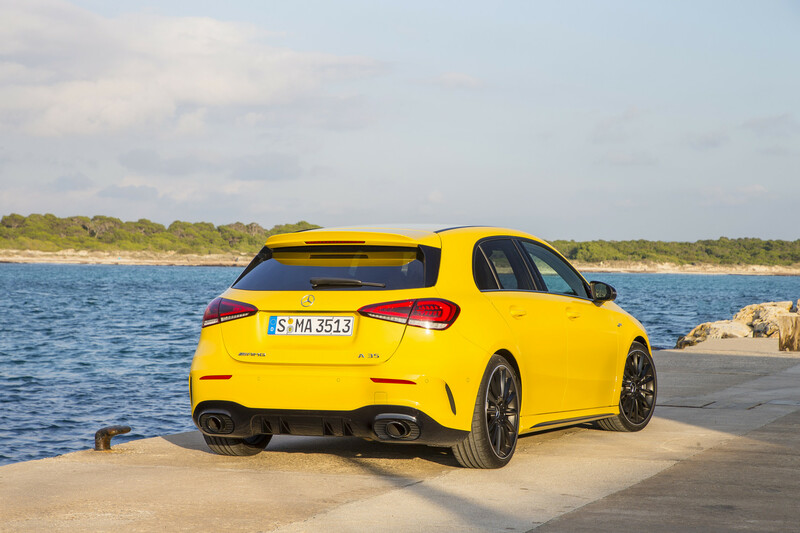 This means that your auditory senses are blessed with a symphony of bursts and crackles in sport+ mode – although the exhaust note notably left room for the eventual AMG A45 (expected unveil in mid-2019) to fill the gap. 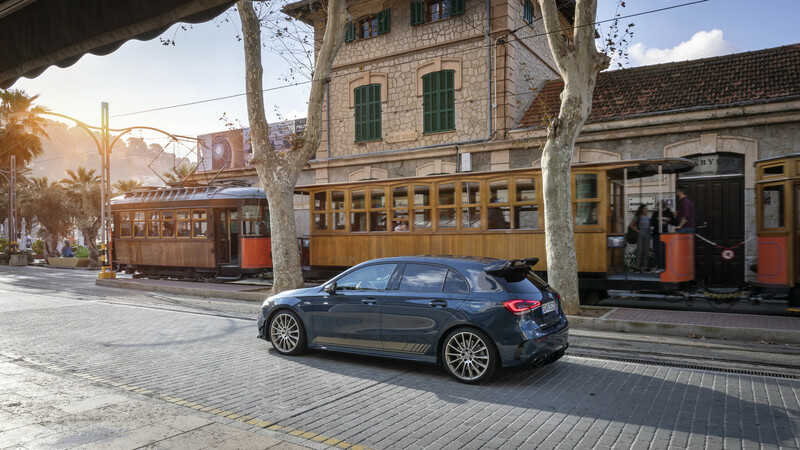 Nevertheless, the A35 hardly ever feels like it’s lacking power; the twin scroll turbo ensures decorous responsiveness at lower engine speeds, and a feisty boost at higher revs. 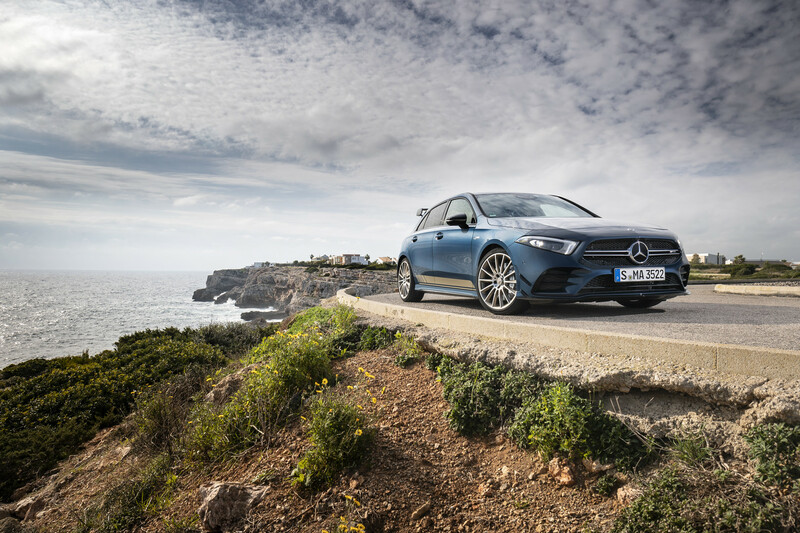 For spirited driving the A35 provides effortless fun: not only does the steering wheel impart robust steering feedback, but better torsional rigidity also improves steering precision and enables the suspension to come into its own. 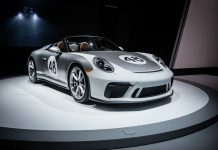 The car benefits from a greatly improved suspension from the aluminum stamped panel beneath the engine compartment, and a solid-mounted subframe. This implies that on the twisty bends the car requires minimal effort to corner smoothly, even at higher speeds. 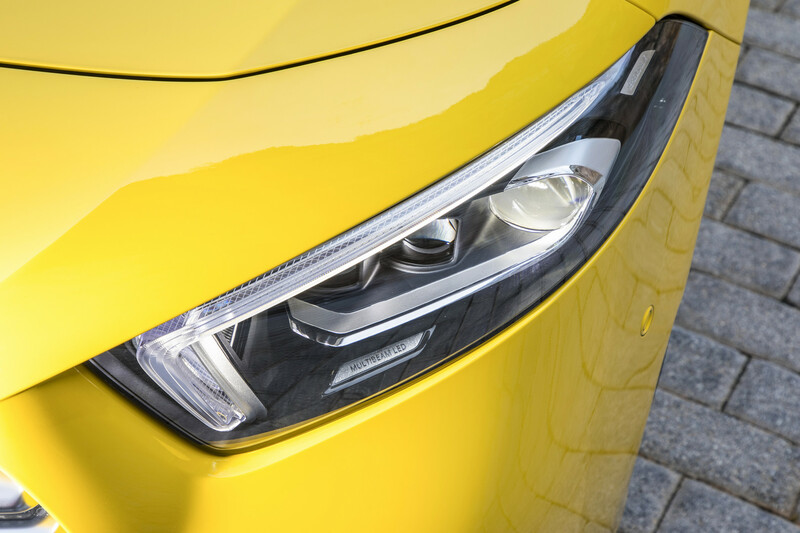 What sets the A35 into a league of its own, is perhaps its strongest selling point: the price. 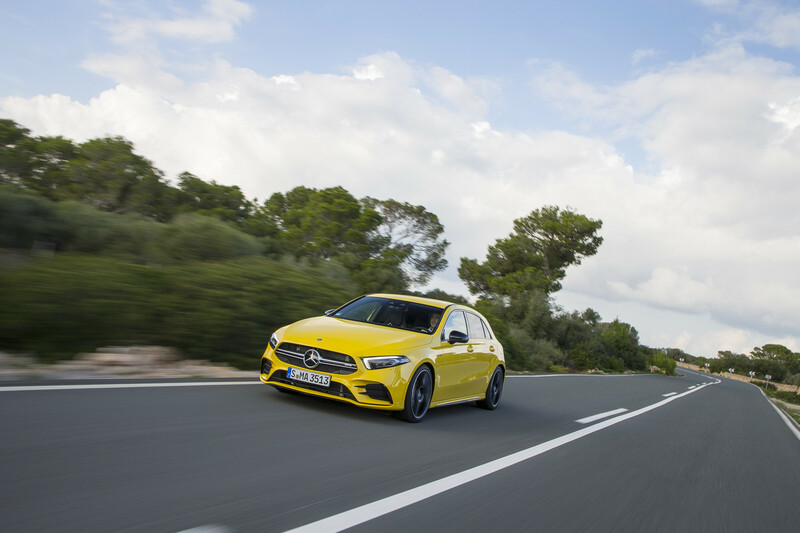 In Germany, the basic price of approximately 47,500 Euros (including VAT) marks the most affordable entryway into the AMG segment to date. 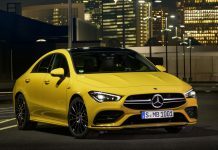 The remarkably affordable price-point makes it easier for new, young and active target groups to choose a Mercedes AMG for the first time, and therefore to move up within the market segment along the years. 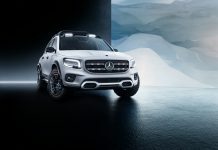 In shrewd fashion, Mercedes has once again tailored a car to appeal to a very specific segment of the market, intended to foster brand loyalty at a young age. 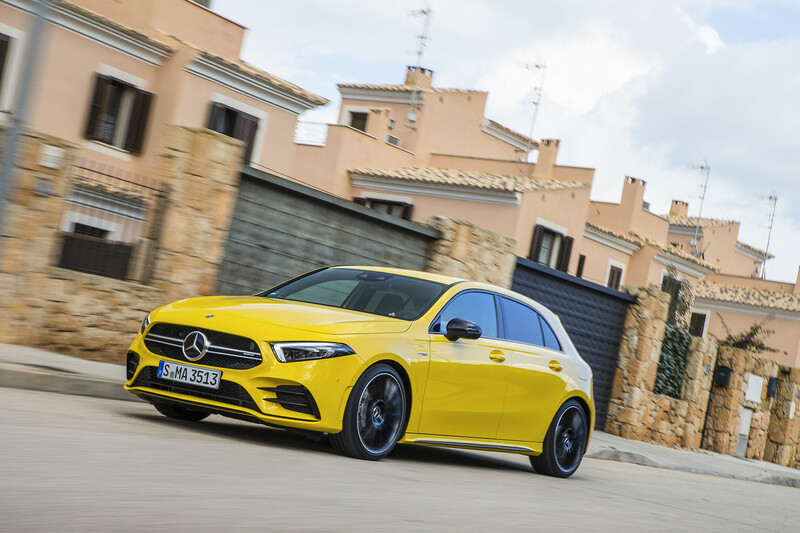 The A35 requires alarmingly little driver competence due to the refined dynamics of the car, and provides an abundance of effortless fun in return. 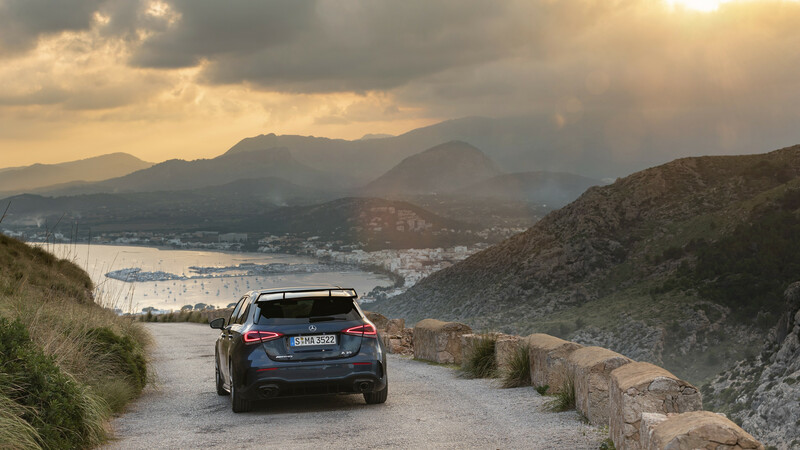 With the millennial audience in mind, the A35 is perhaps the ideal gateway for a juvenile motorist wishing to daily drive a comfortable, yet sportive vehicle, that is compact for city driving, and passionate on spirited drives. The A35 has been crafted with its target audience at the forefront of every stage of the design process. 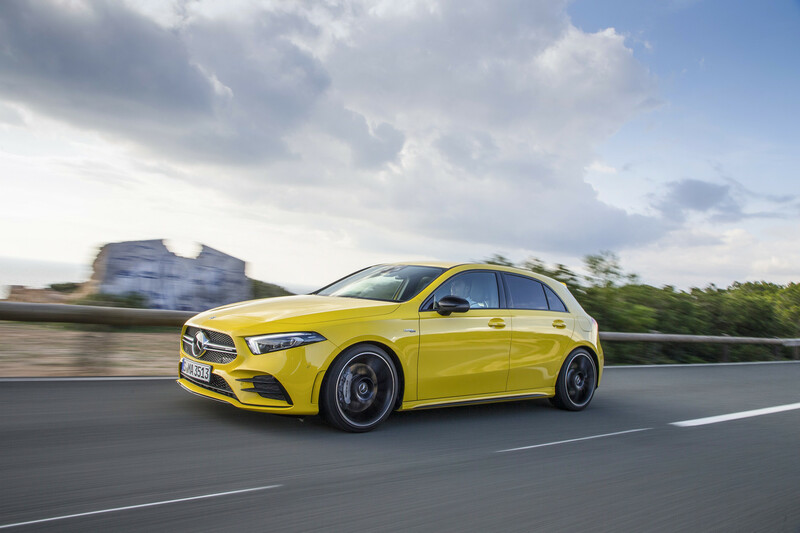 The car provides effortless fun, and offers a very affordable price point into the AMG segment.